At Precision Box, our standard storage container is a quality kilmped container with a single lift off panel at each end. Our PB storage container is fast to assemble using the klimp fixings – 28 per container. Typically, 5 minutes should see a container put together with two men. The standard external dimensions are 2184 x 1574 x 2424 millimetres or 86 x 62 x 95.5 inches. This equates to a 250 cubic foot capacity. We supply them flat-pack with klimps and any of the accessories you may require. Our storage container is designed to be stacked up to 5 high and each container can be loaded to 1 tonne on 18 millimetres plywood base. 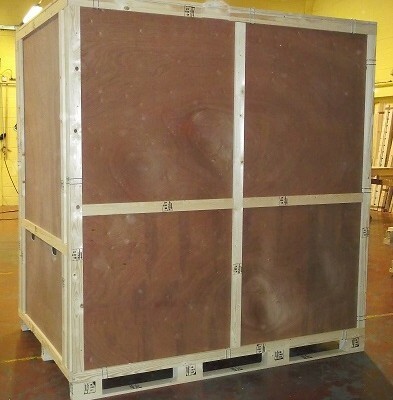 We can also provide you with non-standard sized storage containers.